The One Hundred and Forty-Ninth Regiment--Was recruited in the Seventh Congressional District, and was organized at Indianapolis on the 1st day of March, 1865, with William H. Fairbanks as Colonel. It left Indianapolis on the 3rd for Nashville, Tennessee, and was a few weeks afterwards sent to Decatur, Alabama, in which vicinity it did duty until its muster-out. 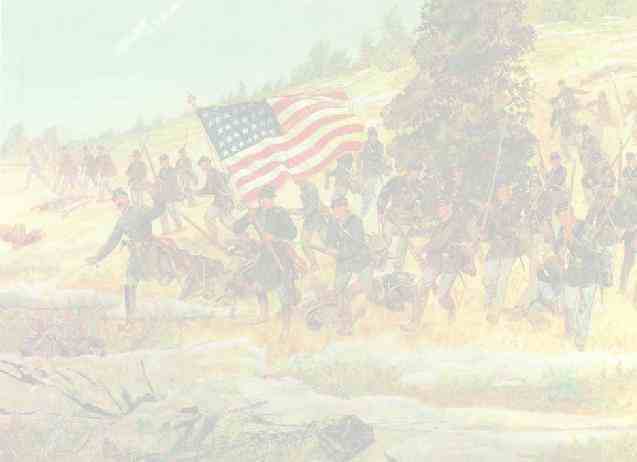 While stationed at that place, the regiment received the surrender of the rebel forces commanded by Generals Roddy and Polk, together with large quantities of arms and munitions of war. On the 18th of September it proceeded to Nashville, where it was mustered out on the 27th of September, 1865. Arriving at Indianapolis on the 29th, with thirty officers and eight hundred men, it was publicly welcomed home, at a reception meeting held in the Capitol grounds, and was addressed by Governor Morton, General Finnell, of Kentucky, and others.